Labels come in sheets of 5 labels each. Haulers and Municipalities using H.H.H. 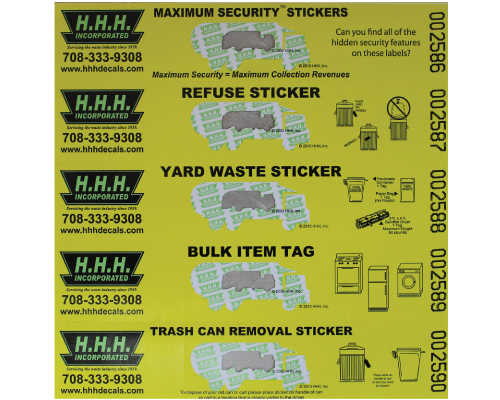 Incorporated's Counterfeit Deterrent and Maximum Security Stickers have seen label sales increase by as much as 28% when comparing year over year sticker sales after switching to our Counterfeit Deterrent or Maximum Security Stickers.